Without question, Birmingham is the unrivaled retail giant of Alabama. From outlet malls to upscale boutiques, shopping opportunities are near endless. Devoted shoppers know that in Birmingham the buying spree can go on for days, fueled by the huge selection of places to browse and buy. 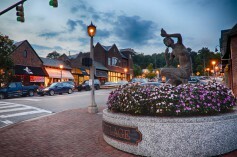 Lovingly referred to as “The Tiny Kingdom,” the suburb of Mountain Brook surrounds three shopping villages. Start your day in English Village with a visit to Continental Bakery for artisanal breads and pastries in the French tradition. You’ll also find a salon, a high-end art gallery, shops for fine clothing and other places of interest. 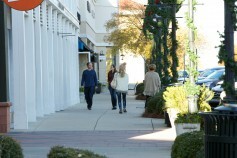 Just down the rather curvy mountain is Mountain Brook Village, a great location for boutique shopping of all sorts. Tucked into classic European architecture are shops such as The Cook Store, which is self-explanatory; The Dande Lion, featuring lovely antiques, vases and table décor; and The Lingerie Shoppe, which we’ll let you explore for yourself. The legendary Smith’s Variety Store is also in this village. It’s been described as one of the best toy stores in Alabama. Reminiscent of an old-fashioned five & dime, Smith’s also has a good stationery selection, hair ribbons, children’s clothing, and a tempting candy counter where you can by candies by the bag. Crestline Village is on down the road a piece. It’s good to park here and walk around the village to find stores such as Lamb’s Ears Ltd., where you find a bit of everything from jewelry to journals, Once Upon A Time, a baby specialty shop, and Snoozy’s Kids, a children’s store filled with toys, books, and gifts. 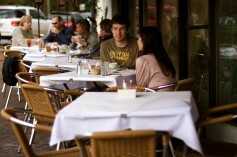 You’ll find a number of good places to dine in the villages of Mountain Brook. Among them are Chez Lulu, daniel george, Davenport’s Pizza, and Surin of Thailand. The next shopping suburb you’ll want to hit is downtown Homewood. How did so much chic shopping fit into this cozy space? Here you’re going to find boutique shopping of the best sort, from designer jeans that’ll make your daughter jealous to fashionable clothes for soon-to-be mamas. This is also one of the best places in town to shop for antiques. If you’re buying for your children or grands, don’t miss the Birmingham tradition of Homewood Toy & Hobby. Now polish your credit cards and head just south of downtown to The Summit, an open-air mall with more than 100 stores and lots of restaurants. The Summit has locally-owned shops along with Saks, Lucky Brand, Gus Mayer, Chico’s, bebe, and Pottery Barn to name a few. You’ll find good eats at The Summit too at places like P.F. Chang’s, Flip Burger, and Urban Cookhouse. Still sniffing out bargains? Drive down I-459 from The Summit to The Riverchase Galleria. Here you’ll find shops like Abercrombie & Fitch, Aeropostale, Brookstone, Coach, and Claire’s. Shopping works up quite an appetite. Plan ahead with dinner reservations at GianMarco’s* for fabulous Italian food for the discerning diner. This place will make you feel sophisticated and romantic all at the same time.